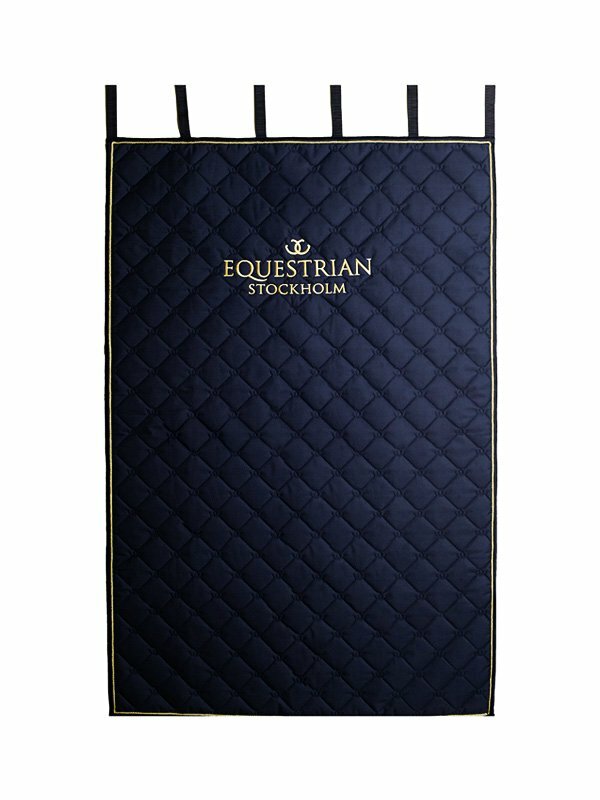 The nicest stable curtain in the market? Luxuious stable curtain in navy blue color with golden details. 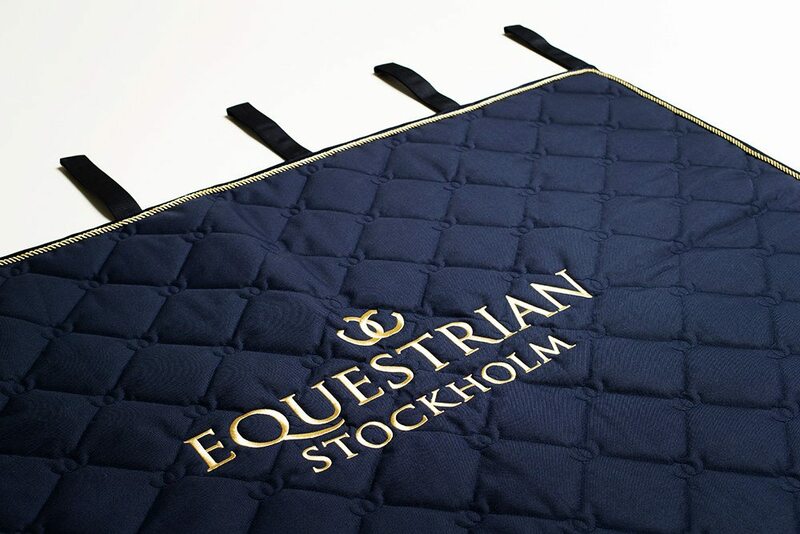 Padded to reduce noise, perfect to have with your during competitions if you have a sensitive horse!